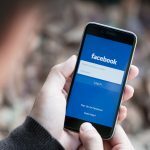 Social media without any dubious thought has access to more than half of the global population. 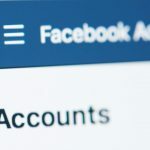 Due to an enormous engagement on the social media platform, businesses have considered it as the best online platform for initial marketing campaigns. But what about PPC marketing campaign? 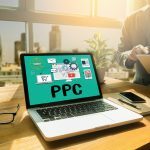 Since PPC brings benefitting results to the business, its stalwart features must not be deteriorated. Let’s have a quick look at the primitive meaning of PPC marketing and social media marketing before getting into the details of both marketing strategies. Social media marketing uses social media websites such as Facebook, Twitter, Instagram, or LinkedIn to promote their brands and products through Ad posting which the users re-post on their timeline to spread brand awareness. 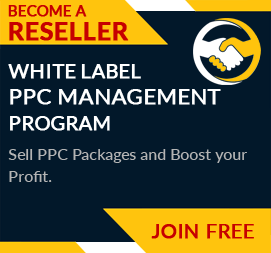 On the other hand, PPC marketing is a paid form of internet advertising campaign where the advertiser is entitled to pay for each click on his Ad to the publisher. So, investment in which of the two marketing campaigns stands fruitful for the business? The answer to this question is drowned in complexity and confusion. The process involved in PPC marketing campaign initiates with the bidding on a specific keyword by the advertiser. If users search that keyword, then the advertiser’s Ad is shown on the search result list. The advertiser will have to pay the bidding amount if the user now clicks on the advertiser’s Ad, landing the user on the desired website. But the process is not as simple as it looks for the selection of keywords, hoping the users to click on the Ad, creating an Ad that befits the target audience’s need, and many other internal aspects are complex enough to be dealt with, that easily. Google receives more than 63000 searches every second, hence, PPC marketing sounds great for capturing a large number of the target audience or even the potential audience that may not have been covered otherwise. Another benefit of PPC is that the measurement and optimization of data are feasible. The advertiser can use the keyword planner available in Google AdWords to decide on the best keyword which is relevant and cost-effective for the business. However, PPC also beholds a misconception worth noting. Many businesses deem that it is a high-ticket model which they may not be able to afford and therefore deter a large client base. Although, a pocket-friendly PPC campaign is achievable because Google focuses on the quality and relevance of the Ad that is designed with effective management and optimization. Social media marketing has a vast user-base with over 2.77 billion of the total world’s population engaged on social media. It has become convenient for businesses to display their products and services in a more direct and creative way through social media. Social media marketing platform is more demographic-based as compared to Google or Bing. Users put up their information regarding their tastes, preferences, likes, and dislikes, which work as a guiding tool for the businesses to customize their Ads. In recent times, paid social media advertising has given PPC marketing tough competition. 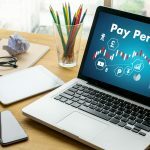 Unlike PPC campaign, social media advertisers are blessed with enough information of users to decide what type of Ad is worth spending money on. One of the unambiguous benefits of social media is the use of a variety of advertising tools such as vlog, video ads, hashtags, image-centric ads, and categorized targeting. It is also considered less expensive as compared to PPC marketing expenditure. Though, one primitive demerit of social media marketing is that it doesn’t offer analysis and optimization of keywords and content, unlike PPC marketing, making it a less-effective approach. To put in a nutshell, both campaigning methods have both pros and cons, one must not avoid considering. The final words suggest that it is better to use both modes for advertising purpose if managed and optimized in an effective and budget-friendly way because no single approach is enough for attaining large audience engagement.